Posted on July 14, 2017 by Jaana Day. 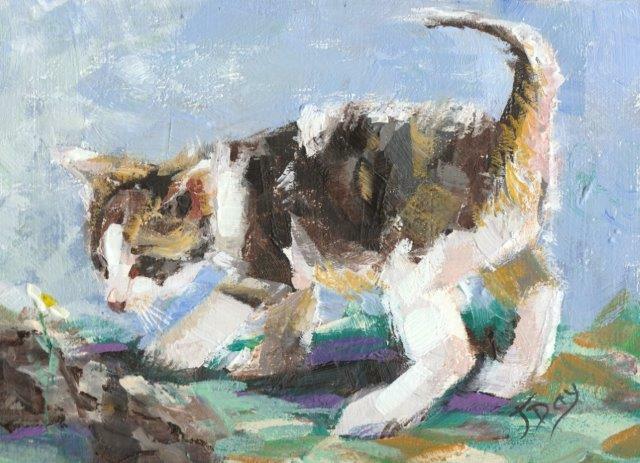 This entry was posted in Animals and tagged Art, blue, brown, brush strokes, cat, Genesis Artist Colours Heatset Artist oils, impressionism, impressionist, kitten, Painting, sunlit, white, yellow. Bookmark the permalink.